Tragedy struck my lunchtime joy a few weeks ago. My local grocery store stopped selling spring rolls in their little fresh-Japanese-food section. They still sell sushi, but what’s the point if there’s no spring roll to go with it?! 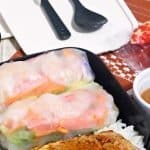 So, I was forced to save my $7 indulgence and figure out a way to make Easy California Spring Rolls at home, on my own. It took some experimenting, but, this, my friends, is a recipe worth drooling over. It was a series of trouble-shooting issues and challenges that I was able to get this recipe to work. The hard part is the wrapper. You have to work fast, to keep the wrap from disintegrating on you. The easy part is that everything is fresh, raw and just awesome. 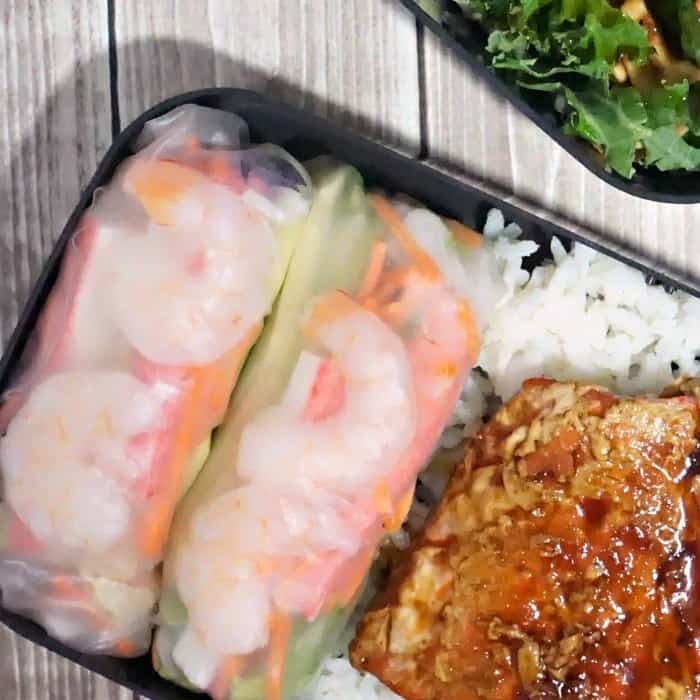 So, when the Easy California Spring Rolls come together, it’s like a symphony of shrimpy, crabby, veggie goodness. LOL! I love dipping mine in spicy chili sauce. Or duck sauce. Or pretty much any kind of sweet, tasty sauce. Even soy. But don’t be pushed by me…it’s good without sauce, too. Heh. Set all of your ingredients out on the counter. You want to make as big of a mess as possible. Put the rice noodles on to boil. Slice shrimp in half. Set aside. Peel your cucumber and slice it into 1/4-inch thick slices. Remove rice noodles as soon as they're soft (just a couple of minutes in boiling water works for me), strain and run under cold water to cool them. Set aside. Submerge 1 spring roll wrapper in water. As soon as the wrapper is soft and flexible, remove it from the water and pat dry with a paper towel. Lay the wrapper on a cutting board or some other flat surface that's non-stick but not wax paper--that's a bad idea. Place a quarter of your lettuce in the center of the wrapper, in a long line. Place a length of crab on top of the lettuce. Then a quarter of your carrots on top of that. Then a couple of slices of avocado. Then a 1/4 of your cucumber slices. Then 1/4 of your rice noodles. Then 2 halves of your shrimp. Fold the wrapper over on itself lengthwise. 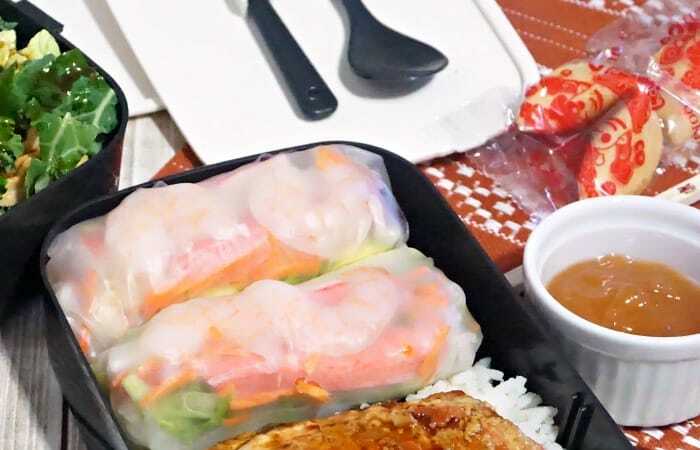 Then, roll the stuffed side of the spring roll toward the open end. Let the wrapper stick to itself to close things up. Dip in a little sweet chili sauce and enjoy, my friends, because this is going to be awesome. 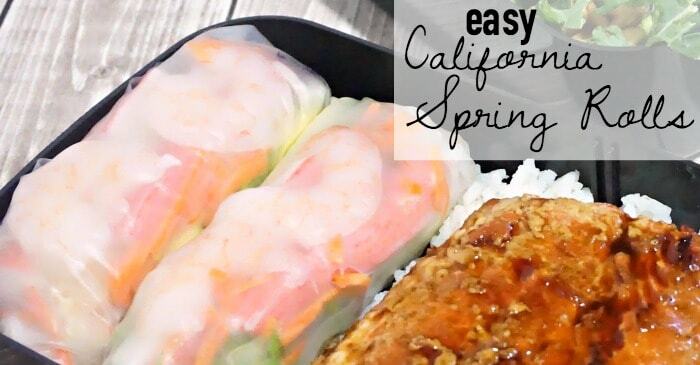 I love these Easy California Spring Rolls and I really hope you do, too. Let me know how they turn out for you. Just drop a comment or find me on Facebook!